Birding was still hard work today with a buffeting westerly wind keeping what grounded migrants were about largely hidden from ready view. A scatter of at least 5 Firecrests were again in evidence at the Bill but there were no surprises amongst the thin spread of routine arrivals on the deck at the Bill; overhead passage was stronger and included a single Merlin along with a very steady passage of departing hirundines that developed as the day went on - including a sample count of 1000 Swallows in a little less than an hour just before the onset of heavy rain at the end of the afternoon. Seawatching at the Bill came up with 5 Brent Geese, 2 Arctic Skuas and a Balearic Shearwaters. Reports from other areas included a Pied Flycatcher still at Portland Castle and the first settled Brent Geese of the autumn/winter at Ferrybridge. Three Delicates were the only immigrant moths of note from the Obs traps. 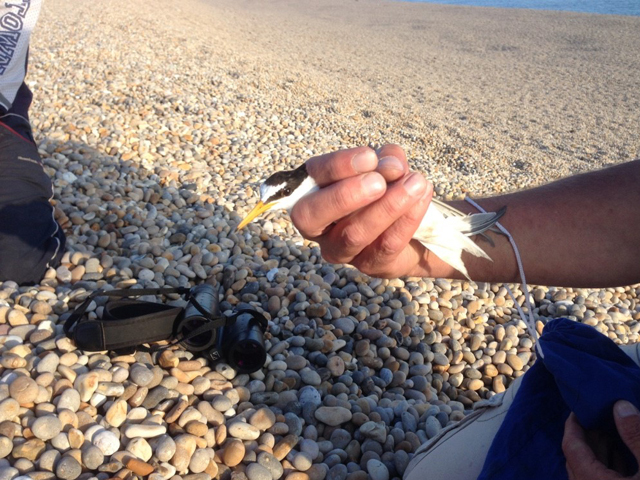 2017 saw yet another record breaking year for the Little Tern colony on Chesil Beach. Curiously, despite several years of large numbers of fledglings, the breeding population remained at 38 pairs. Perhaps returning first time breeders have been going elsewhere to nest. Despite this, productivity was again up with an estimated 73 fledglings which is the highest total ever recorded both in terms of total fledglings and productivity (1.92). With many colonies elsewhere having a bad year Chesil may well end up having the highest productivity figure for the UK just as it did last year. Needless to say there was very little Kestrel predation this year and night time predators (including a badger on several occasions) were kept at bay by the residential volunteers. The project continues to attract many local volunteers with a total of 56 putting in excess of 3000 hours work. 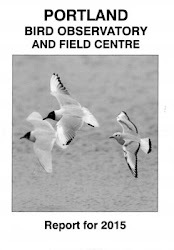 15 of the 18 previously Darvic-ringed adult birds were sighted this year, including a bird that is now 18 years old. Steve Hales managed to colour-ring a further 11 adults and 26 pulli. A further 31 pulli were BTO ringed only. The reason they were not colour ringed was because these rings can only but applied once the chicks are big enough (around 7 days) by which time they have left the nest and are incredibly hard to find!